Television is the first tool for us and your entertainment. This is where we and you are involved with DTH services. In India, DTH services are mainly used by Airtel DTH, Dish TV and Tata Sky. You might have noticed that these days, different channels of every channel are advertised on television. This is happening because the Indian Telecom Regulatory Authority (TRAI) has prepared a new framework in which the customers have been given the freedom to choose their preferred channels. In view of this, major DTH operators in India have announced the price of the new channel packs. TV viewers have to choose the channel of their choice till February 1, 2019. Under the new framework, viewers will now pay only for the channels they want to see. Now you will have a question about how to choose a channel. We will tell you about it. 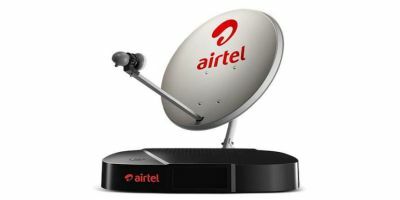 In this article, we will tell you about choosing channels on the Airtel DTH service. Login with your ID on the Airtel website first. If you do not have an Airtel ID then register yourself. 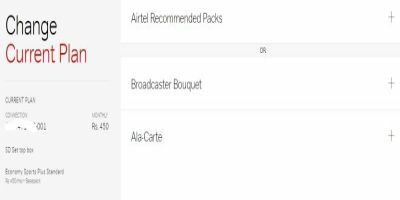 After logging in, in the Overview section you will see all the products of Airtel that you are taking advantage of. Now click on your DTH ID. After this, your Airtel DTH account page will open. Here you will find options for Recharge, Transactions and Connections. Now select the Connexions option. Click here to get the message of Attention Required in a red banner. In this the story of TRAI has been written. Now click on the button Upgrdae Now. The above process is based on the suggestion given by Airtel. If you wish you can choose one of your favorite channels one by one from Broadcaster Bouquet and Ala-Carte. In Broadcaster Bouquet you can choose package of several channels of one company. For example, DISCOVERY Bouquet 1 Family Pack and NDTV North Info The details of how many channels are available in these packs are based on the page itself. You can also know the names of all the channels by clicking on the channel list. After selecting a pack from BroadcastBook, you will need to click Continue. After this the option of Ala-Carte comes automatically. This has been done, because there may be some channels of your choice in Broadcaster Bouquet. In this case, you can personally choose one channel. When you think you have selected all the channels you like. Then click on the Continue button. Note that this button will also show the number of total channels you have selected. On the next page, the Broadcaster Bouquet Pack you selected and the complete details of all the channels selected from the Ala-Carte Channel. Here it is known that Airtel takes the minimum amount of Rs 153 for your DTH service. On next page you will press the Confirm button. Your new package will be ready which will be active from 1st February 2019 Let us tell you that in the amount of Rs 153 you will get 25 channels of Doordarshan without any additional amount. Install the Myairtel app on your smartphone. Use the mobile number that you have provided for the Airtel DTH service on this app. If you have an ID, then log in. New users can register themselves. You will find your DTH ID in the My Accounts section of the My Airtel app's home page. Tap on it. Click here, you will get the message of Attention Required in a red banner. In this the story of TRAI has been written. Now click on the button Upgrdae Now. After this you will get the Change Current Plan page. Now you can follow the same procedure as the website. Here too, your plan has been suggested by Airtel. Broadcaster is also the choice of Bouquet and Ala-Carte. We will suggest you to follow the above instructions. In this way, your choice of DTH pack will be active. Now there will be a question in your mind that it is necessary to do this? The answer is yes, yes. We talked to Airtel DTH customer service officer in this regard. We were informed that the existing plan will be active only till 31st January, 2019. New plans will be active from February 1, 2019. If you do not choose a plan, you will be contacted by the Customer Service Officer to choose a plan from Airtel. If you do not choose a channel this time, then in the future it will be an option to make a part of your pack. 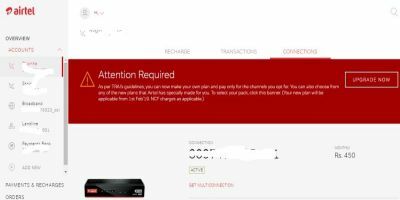 In addition to using Airtel DTH, you will have to pay at least 153 rupees. In this you will get 25 channels of Doordarshan free. It is expected that by following the above instructions, you will be able to select channels of your choice on Airtel DTH.